I’ve written a lot about the podcast ecosystem on iOS. 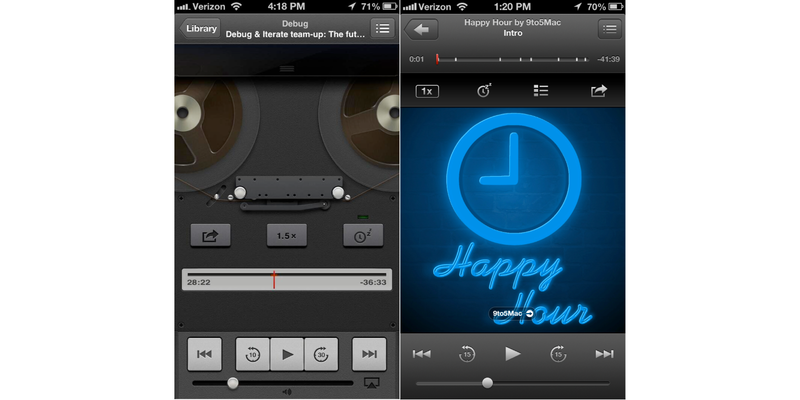 I think that Overcast is an absolute gem of an app. Castro is also a top-notch app as well. I manage a few podcasts for some clients of mine, and I know that despite the incredible third-party podcast apps, Apple Podcasts is podcasting to the vast majority of people out there. That withstanding, the Apple Podcast app isn’t perfect, but it’s come a long way from version 1 many years ago (the tape player UI). While Apple Podcasts doesn’t need to offer the exact same features as other apps, its development does help drive the industry forward. Here are four new features I’d love to see in Apple Podcasts in iOS 13. Most people dislike when one company has so much power over a single industry, but Apple’s power is simply in its directory. For all that Apple controls, they’ve never tried to centralize it. Apple Podcasts is still just a directory of feeds (and Apple doesn’t host any of the audio files). Apple’s commitment to this model has allowed the industry to grow, new apps to be built, and new business models to mature. In my opinion, they deserve a lot of credit for their stewardship. A lot of companies who are Apple’s size would have been looking to take more control and monetize the entire industry. Under Apple’s guidance, the industry has stayed open and attempts to centralize it are largely failed because of the market share of Apple Podcasts. One of my favorite features of Overcast is the ability to upload audio files to Overcast via the Overcast website (requires a premium subscription). In fact, it was recently upgraded to give users 10GB of storage. Last year, Castro added the ability to load content from iCloud Drive and a share sheet extension. While I love Overcast, I do love how easy Castro makes it to add audio to the app. One of the biggest weaknesses of iOS is the ability to work with audio files. You can’t sideload content into the music app or the podcast app. If you have an MP3 file you want to listen to, you have to sync it over from a Mac or listen in Safari.. I’d love to see Apple build a share extension for audio files in Safari (or other apps like iCloud Drive and the Files app) to send into the Apple Podcast app. Another new feature I’d love to see in Apple Podcasts is clickable timestamps. Overcast has built this feature in, and it’s become invaluable for me. For a few news shows I listen to, this feature has allowed me to listen to just the topics I care about. I’d love to be able to share podcasts at specific timestamps as well (or even make clips to share with a link to the entire show). The podcast industry has flourished in recent years thanks to a growing advertising industry and support services like Patreon. One idea I had is for Apple to build in donations into Apple Podcasts through Apple Pay Cash. Podcasters could connect their Apple Pay Cash account through Podcast Connect. Listeners could then make one time donations or even set up recurring donations to shows they want to support. This feature would also help spur adoption of Apple Pay Cash as users would begin to become more comfortable using it. The final new feature I’d like to see in Apple Podcasts is copying the Friends following feature in Apple Music. Since the feature came out, I’ve enjoyed learning about the music my friends listen to (especially playlists I might have missed). If Apple would extend this to its Podcasts app, it would help shows grow as friends could easily recommend shows and episodes. The best part of social networks like this is that you don’t have to do anything but use the app. 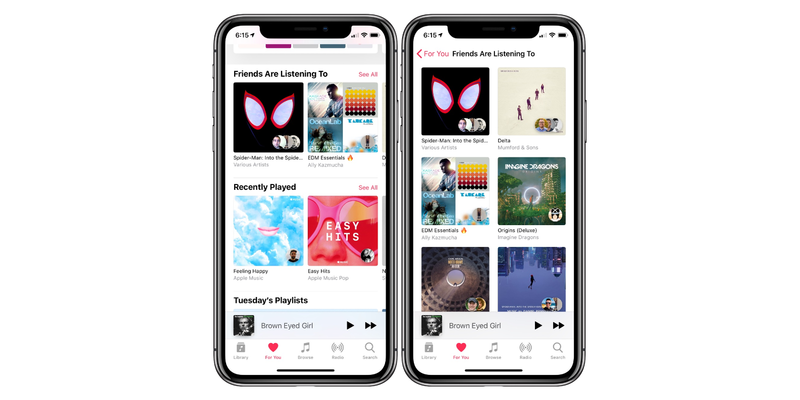 Apple could build a “For You” tab in the Podcast app with new show recommendations and information on what your friends are listening to as well. These features are just a few things I’d love to see come to Apple Podcasts in a future version. The entire industry is in a very healthy space right now. There is still room for new shows to start and flourish. Thanks to the low-cost of entry, anyone can get started. All you need is a microphone and a hosting account. Like I said earlier, I don’t think Apple has to match third-party apps with features, but I think they should always be looking at what some of the other apps are doing as a guide on how to move the industry forward.